The CraneBoard© Solid Core system provides the complete package. 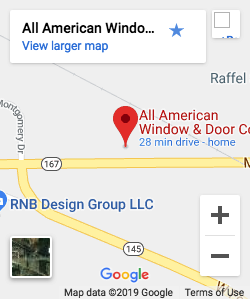 WHY CHOOSE ALL AMERICAN WINDOW & DOOR? Because we offer many siding options to choose from when selecting an exterior wall covering for your home. The choice between maintenance freedom and natural appeal is a difficult one, and what about energy efficiency? Can any installation effectively insulate your home while maintaining its natural architectural lines? The CraneBoard® Solid Core system provides the complete package. Its durable, maintenance free exterior is fused with contoured insulating foam for straighter, more attractive walls, superior R-values and air infiltration ratings, and guaranteed impact resistance, creating the ultimate exterior wall covering. A complete insulated wall system with absolutely no compromise. This superior wall system has been tested and proven better than conventional sidings. R-values are greater than that of standard siding applications, air infiltration ratings are a 17% improvement, high impact performance means that Oracle’s ability to withstand impact is 300% better, and external noise is reduced up to 45%. A single CraneBoard® panel covers twice as much area as a conventional siding panel. This wider, solid design spans subtle bows and dips which exist on almost every wall. CraneBoard’s® rich, low gloss finish and authentic true-milled cedar woodgrain give it the look and feel of actual cedar panels. The Energy Star logo identifies CraneBoard® as a product which meets the energy efficiency guidelines set by the EPA and Department of Energy.